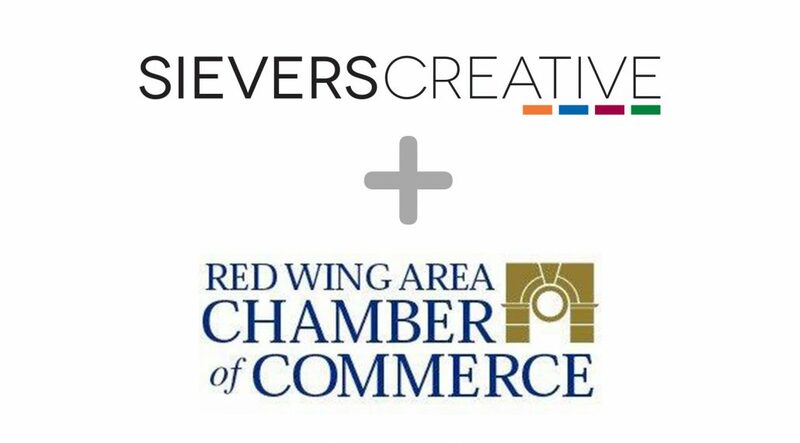 It’s official, Sievers Creative has joined the amazing business community in Red Wing, MN. We can not say enough positive things about the Red Wing Area Chamber of Commerce and about Patty, Tammy, and Marion (The Chamber Ladies) down at the chamber office. The Red Wing Area Chamber of Commerce is extremely active and proactive in the business community. Everything from business expos, networking events like HYPE (helping young professionals emerge) and AM Espresso, to just all around making Red Wing area businesses stronger. As we build our business here in Red Wing, MN by helping other local business find a successful online presence. We want to help local business find the help they need to navigate the craziness of the online world. We aim to be a high caliber creative agency for small to medium size businesses. We believe that every business should be able to afford a successful presence on the web. We look forward to being a part of such a great business community! We are extremely happy with the service they have provided for us. Always updating in a timely manner, flexible, personable, and we could not be MORE happy with how our new website looks. We have referred them to all of our friends and you will love them too. Sievers Creative designed our Woodbury THRIVES website and have been helping us keep it current since. The design is very contemporary and user friendly. They are very responsive when we make requests. I would highly recommend them. Sievers Creative is truly the most amazing consulting service I could imagine. 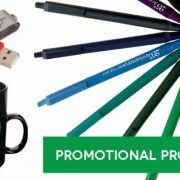 We have used their creativity and judgement for our website, our promotional products, our Spirit wear and all our signage. They are wonderfully accommodating; they are truly the nicest people I have met. They even brought our products to us because they were so excited to show everything to us. I highly recommend Sievers Creative. Roger works hard to get your website exactly as you want it. He takes your information and is able to put it into creative form. Sievers Creative is your one stop shop for marketing. They have created a beautiful and dynamic website for my chiropractic business. Whenever I need to change or add information, they instantly help! They are helping me grow my business by creating an overal branding of my company and a cohesive marketing plan.The service is impeccable. The price is competarive. If you want you and your company to feel important, to feel understood, this is the marketing group to choose. Team Sievers is a joy to work with. They are collaborative, creative, clear and committed. Our programming is complex, and our website has to hold the details of many diverse activities and hundreds of unique events. Team Sievers listened thoroughly, so they were able to shape a focused structure that effectively highlights our multi-faceted programming and communicates our brand. There recommendations were always spot on, and specific to our business needs. Thank you for an exceptional end result. So friendly and professional - We love the new and innovative design! The team at Sievers Creative is mission minded, forward thinking and results oriented. We needed help managing our Google grant, among many other things. I never hesitate to ask question as I am always treated with respect, they are very responsive and quick to help. I know they truly want to help our organization succeed. It was a great pleasure working with Renee, Roger, and Jessica. They created a new website for the Woodbury Community Foundation, and they did an excellent job. They patiently took the time to find out exactly what our goals are and designed the site around them. We couldn't have asked for a more professional team or a better end product. Sievers Creative did a complete overhaul of my wedding venue's website and they did an AMAZING job!! Their eye for design while implementing great SEO strategies is exactly what I needed. Once the website was done, they started working my marketing materials to give my venue an even stronger brand. Their communication has been thorough and prompt- I highly recommend Sievers Creative!! Took over the marketing role at a company and Sievers helped with the transition. Gave me free training on our existing website and assisted with questions I had about the website builder they used. Amazing Service! We have been working with Renee & Roger over the last five years and they are very easy to work with. The pricing is reasonable and the results are worth the investment. Quick response and very knowledgeable on promoting our business. Highly recommend. Troy & Linda Sheridan, Sheridan Exteriors Inc. Hired these guys to redo my business website. THEY WERE AWESOME. I love my new site. They were super easy to work with and delivered everything on time. I even had them do some printed material for me and it came out great. This is a one stop shop for your business. Roger and his team at Sievers Creative are true Pro's! Straight forward, honest people who have our best interests in mind in the work they do for my company Vino In The Valley. They are quick to respond to our needs and always eager to come up with the right solutions...doesn't hurt that Roger is pretty connected to the community...not always what you know, but who you know right?? Thanks to the Sievers team for being great partners in business! Larry Brenner Owner Vino Enterprises. This was our first experience with our own website and we were unsure of the whole process but Roger was great at walking us through the steps and answering any questions we had. In the end the site turned out to be more than we imagined going in and we are very pleased with it. We would recommend Sievers Creative to anyone looking to up their marketing strategy. Web Hosting: What it is and why you need it.